It is a good idea to test your code prior to delivering the final project. It is quite common there to be bugs in the code due to errors of some kind. Hence, testing the code prior to release is a must. Here are a few quality assurance tools that can be used for a before hiring PHP developer. – PHPUnit: PHPUnit is a popular framework for testing a website project developed using the language PHP. It is based on the xUnit architecture for unit testing. PHPUnit has been designed to be able to find the bugs in the code quickly and easily. By making use of specific units it is possible to make sure everything is tested correctly. The test cases developed can be reused and only requires an initial setup. – Behat: Behat uses a framework for developing acceptance tests from the specifications. It uses the Cucumber framework and it is a very simple framework to learn since it uses descriptive text. – Atoum: Atoum uses a very fast engine that makes testing fast reliable and efficient. It uses techniques like test isolation and parallelization ensure better performance. Since unit testing does require to be fast, the Atoum testing engine is a big advantage since it makes this possible. It is possible to develop test mockups with ease and it is also easily integrated into the PHP system. – Selenium: This is a testing tool that is used for browser testing. 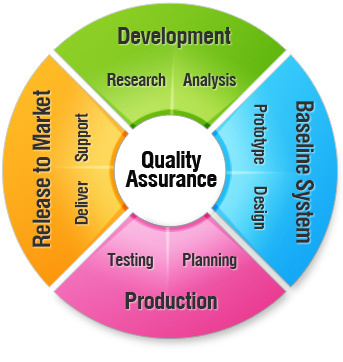 The main purpose of this testing is acceptance testing and integration testing. It is easy to set-up the tests with this tool. The way it works, it transforms the tests to the browser API commands and asserts the expected results. All most all the browsers are supported. – Dusk: Dusk is an automation tool that can be used as a standalone testing tool. It is possible to use it with chrome-driver and Selenium. Dusk has an easy to use API that can test almost all elements of a PHP website. – Kahlan: Kahlan is a test framework that is based on the BDD test framework. It is a fully featured framework that uses describe-it syntax. – PHP Testability: PHP Testability is a static analysis tool that searches for testability issues in the PHP code and generates a detailed report of the same. – PHPSpec: PHPSpec uses a behavior-driven testing approach. It is necessary to first write the specifications on how the application codes behave prior to starting the tests. Why you choose Alakmalak as a best PHP Development Company? Alakmalak is a web development firm that has been around for a while. They have skilled web developers who are highly experienced. They also have a dedicated team of PHP developers for special web development projects. Alakmalak has developed more than 2000 websites for clients all around the world. They also have a high client retention ratio. Hence if you need to hire PHP programmer in India it is safe to choose Alakmalak.